This tutorial shows the very basics of making a simple type visualizer and registering it with VisualGDB. 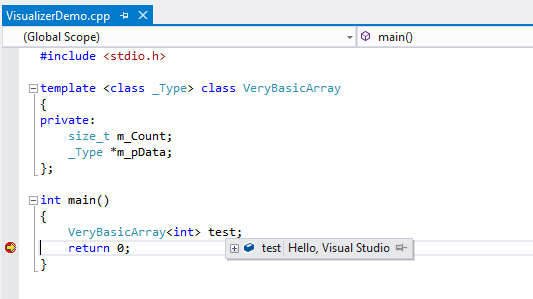 It will simply make VisualGDB show "Hello, Visual Studio" instead of the actual value for a given C++ class. Create a simple "Hello, World" application with VisualGDB. Although the type visualizers will work for all projects types, the most simple way to start is by creating a MinGW application (follow this tutorial). We will now make a VisualGDB plugin that will replace the value of test ("m_Count = 68, m_pData = ...") with a custom string. Please refer to the SDK reference for more information about things that type visualizers can change. 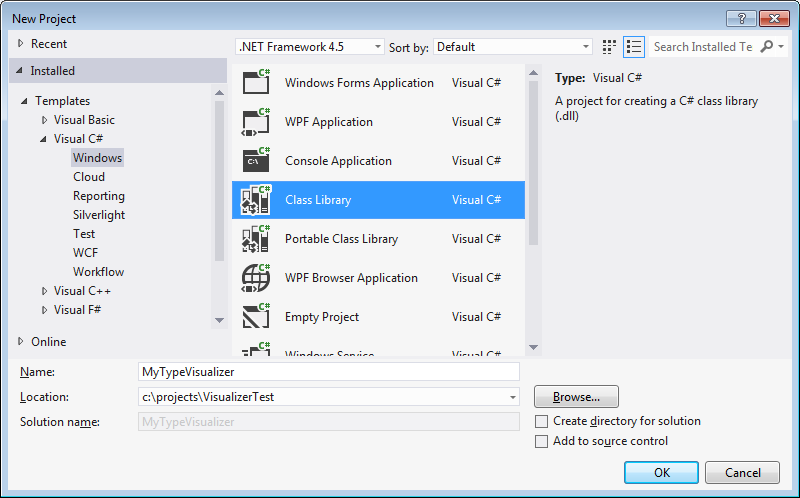 Right-click on the newly created project, select "Add Reference". 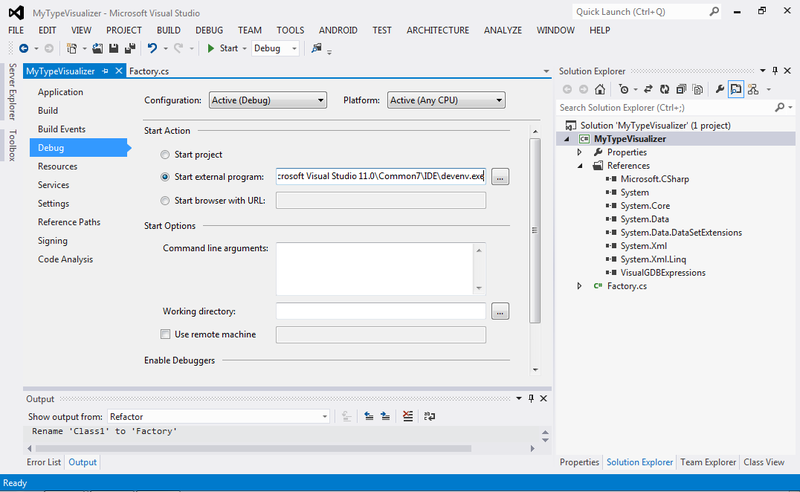 Select "Browse" and point to the VisualGDBExpressions.dll assembly inside the VisualGDB directory. 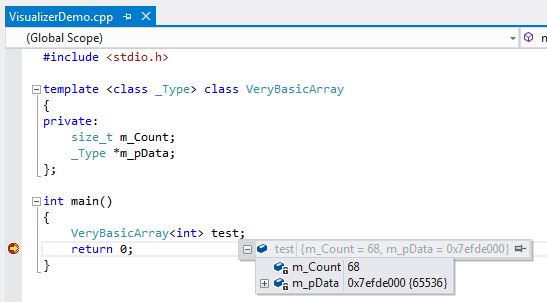 When we inherited the TypeListBasedExpressionFilter class and specified "VeryBasicArray<" in the constructor, we have created a simple filter that only attaches itself to instances of the VeryBasicArray class.